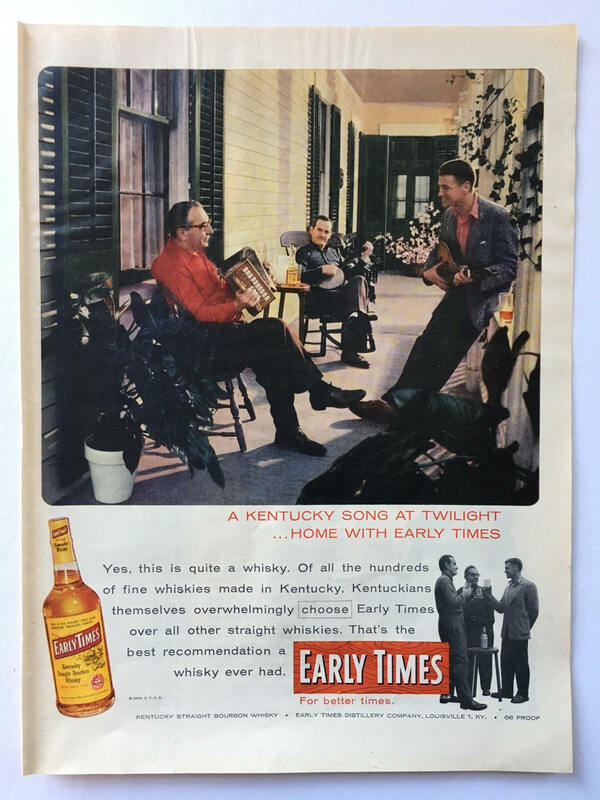 This 1956 Early Times Bourbon Whisky magazine ad has a classic down home feel with some guys playing music on their porch and sippin' whisky. 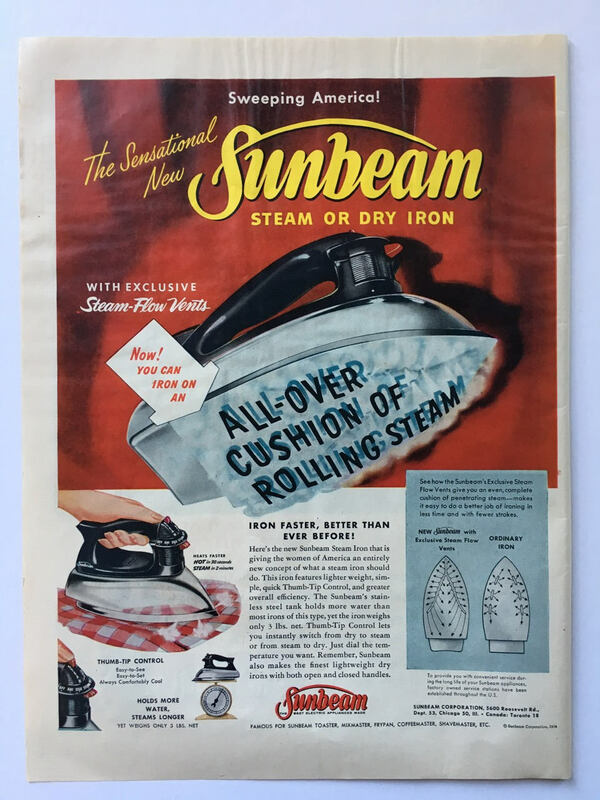 Sometimes it is hard to choose which ad too offer, and with this one you also get a second ad from on the backside from Sunbeam with a neat clothing iron. Take your pick of which you want to display!